I've never tried any nail polishes from Ardene, but there with this gold glitter nail polish that I really wanted. They were having a 2 for $6 CDN deal so I decided why not get a second one. 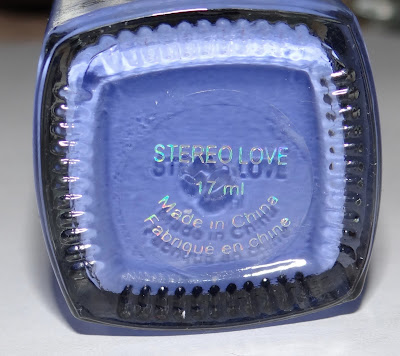 There weren't really any colours that caught my eye since may of the colours I already have in my collection (nail polish addict) Except for this color. I usually buy more glitter, and colours that are uncommon. 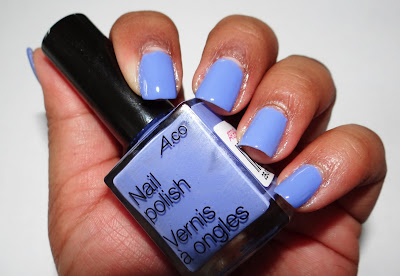 I love this lilac colour and it's very affordable. It's $4 without the deal. The application with this nail polish was really easy. It did go on a bit thin but with 2 coats this nail polish is opaque. It's a really nice lilac purple color. I love this for the spring time. It reminds me of those Easter eggs. This nail polish lasted on my nails for about four days with a base coat and top coat. Used: Seche Clear as a Base coat and Seche Vite for base coat. I love how affordable these nail polishes are compared to the big price tag of $7 and $10 CDN for OPI and China Glaze nail polishes. I'll definitely be repurchasing and trying some more colors.